PITTSBURGH & CHICAGO--(BUSINESS WIRE)--Apr. 2, 2019-- NUT-rition is a brand that believes women should demand more…more from their snacks and more from their lives. But women today face bigger issues than finding the right snack. 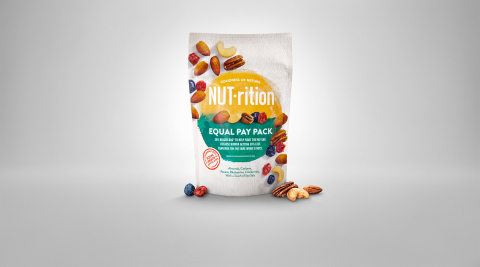 On National Equal Pay Day, NUT-rition has teamed up with award-winning actress Laura Dern and Equal Rights Advocates (ERA) to shine a light on wage inequality.